The path to the PGA Tour is more defined and difficult to complete than ever. However, it's also a more global game than ever, and that's why PGA Tour Latinoamerica exists. The circuit, which offers a split schedule over the course of the season, gives Web.com Tour status to its top five money winners. 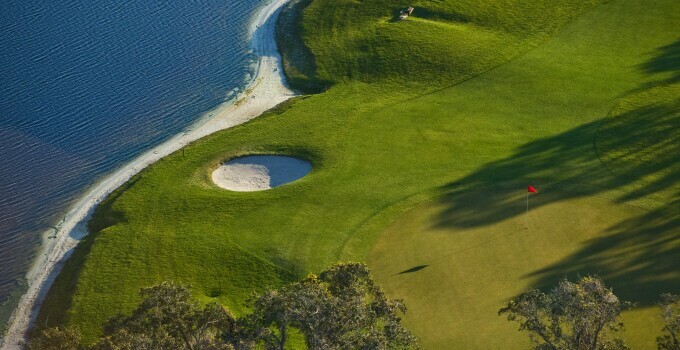 PGA Tour Latinoamerica has a pair of qualifying tournaments before kicking off its season, and Sun N Lake Golf Club in Sebring, Fla., played host to the North American Q-School. That tournament wrapped up on Friday with a pair of medalists deadlocked at 10 under par. Willy Pumarol and Matt Bryant had to come back the next day to crown an overall champion. After playing the island-green par-3 18th twice already, Pumarol birdied it the third time to take out Bryant and win. The top 15 players in the 72-hole event earned exempt status on PGA Tour Latinoamerica through the season split in June. “It was a great week of golf and everything went very well,” said PGA Tour Latinoamerica communictions manager Gregory Villalobos, according to Highlands Today.